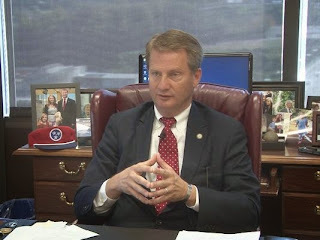 As expected, Knox County Mayor Tim Burchett on Monday unveiled what he dubbed a "no frills" spending plan for the upcoming fiscal year – one that doesn't include a tax increase, but also doesn't fully cover the Board of Education's own proposed budget. The plan, however, sets aside funding to give general county and sheriff office deputies, on average, a three percent raise during the course of the year, and it maintains the county's current level of services, the mayor said. 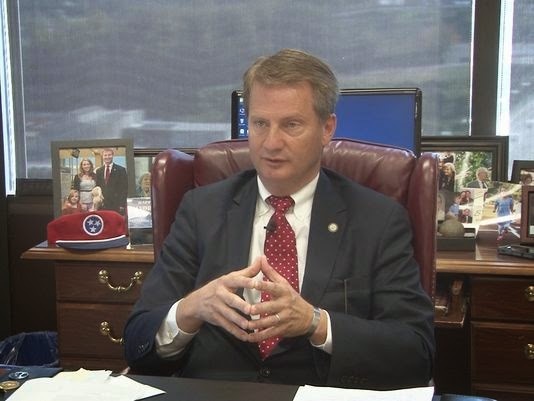 "Each budget I've presented the needs of Knox County government without raising taxes and this one is no different," Burchett said. The proposed budget, presented before the Knox County Commission on Monday morning, stands at an overall $747.2 million – up about $20.2 million with half the increase dedicated to the school system. Of that, some $435 million is set aside for general purposes schools, which is roughly $14 million in new revenues for the system. However, that still leaves the system, which asked for $441.5 million, short by $6.5 million. "We cannot operate outside the existing revenue," Burchett said. The mayor also proposed a roughly $16.1 million capital budget for the school system, giving KCS officials everything they requested except funding for three new schools. He did, however, include $2.8 million to continue covering the school system's elementary school reading initiative, which he created several years ago; some $2.5 million for the Great Schools Partnership; and $1.2 million for a Kindergarten intervention program. 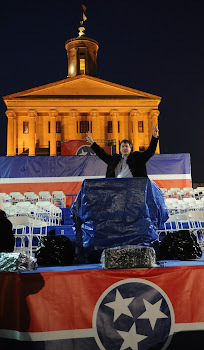 "This is enough funding to provide quality instruction for our students in the classroom, while also providing for teacher raises proposed by the governor and the superintendent," Burchett said. "We must pay our teachers more – not curriculum coaches, not administrators, but our classroom teachers. They are the people who, day-to-day, deal with students' healthcare issues, family troubles, hunger and poverty, all while navigating ever-changing testing standards and bureaucratic red tape." KCS Superintendent Jim McIntyre in his own budget released last month proposed giving teachers a 3 percent pay raise. Because the mayor didn't fully fund the plan, McIntyre and the Board of Education – barring a change by the county commission – will have to go back and make cuts. At this point, it is not known where school leaders will trim from their own budget, but McIntyre in an interview after the presentation said the lack of full funding is "obviously challenging" and that it would "make it more difficult" to provide the teacher pay increases. He also said the mayor's refusal to fund a school for the Gibbs community was "understandable," since the school system did not suggest paying for it, but said his choice to not support building schools in Hardin Valley and in the north east part of the county is "a little bit perplexing." The superintendent said the school system could afford those two new schools and some their operational costs because KCS will soon not be responsible for some of the debt obligation tied to schools built in the 1990s as it will be paid off. Burchett's overall proposed budget also includes a $171.25 million general fund, which covers much of the county's day-to-day operations. That's up about $7 million. Of that increase, some $4.5 million is set aside for public safety, including $1 million for the new medical examiner's office. Public safety accounts for $81.9 million of general fund, and that jumped about 6 percent from the current budget. Much of the additional funding for public safety will cover pay raises, increases in prescription drug costs for inmates, health insurance and workers' comp. The mayor also allocated some $1.4 million in defined service contracts, or grants, to the same organizations currently receiving them, including, for example, monies for Child Help ($36,300); Sertoma Center ($4,200); Salvation Army ($11,760); The Knoxville Chamber ($80,000); and Keep Knoxville Beautiful ($6,720). Burchett during his presentation noted a steady increase during the past year in hotel-motel tax revenues, which climbed to $3.15 million. 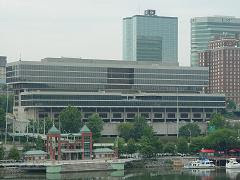 The biggest beneficiary in the upcoming fiscal year will be Visit Knoxville, which gets 40 percent of the revenues, according to its contract. This year it received $2.26 million, but the mayor proposed setting aside $2.4 million for the upcoming year. The Arts & Cultural Alliance of Greater Knoxville ($375,000), the Beck Cultural Exchange Center ($50,000), the Knoxville Zoo ($100,000) and Legacy Parks ($75,000) also will receive significant funding. In addition, the Women's Basketball Hall of Fame will get $150,000, which is a contract for maintenance and operations, out of the hotel-motel tax revenues.